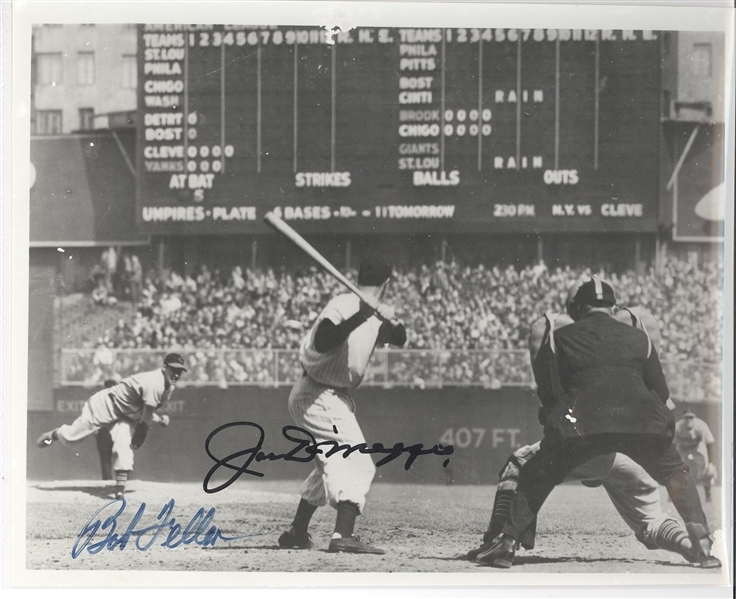 8"x10" Photo of Bob Feller(Cleveland Indians) pitching to Joe Dimaggio. Signed by Dimaggio in Black sharpie and Bob Feller in Blue. Comes with JSA certificate. does have slight issue on very top just slightly affection photo, could easily be matted out. Great photo.